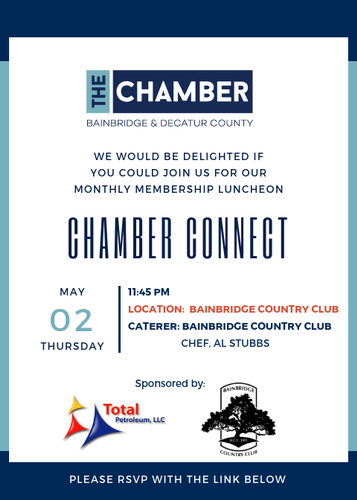 Our May sponsors are the Bainbridge Country Club and Total Petroleum. The program will provide legislative updates from Senator Dean Burke and Representative Jay Powell. Join us at the Bainbridge Country Club for a meal by their new chef, Al Stubbs.